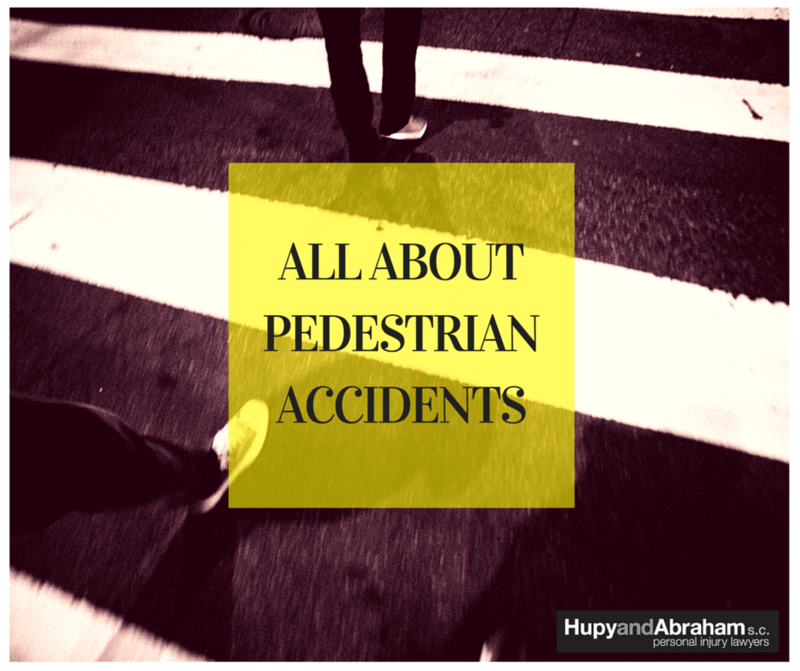 Pedestrian Accidents in Wisconsin, Iowa, and Illinois | Hupy and Abraham, S.C. Since 2009, pedestrian fatalities have increased by more than 7.5 percent on a national scale. With more than 4,000 pedestrian fatalities occurring each year since the turn of the century, these statistics are trending in the wrong direction. On average, a pedestrian is killed every two hours and one is injured every seven minutes because of traffic accidents. While pedestrian accidents are a risk for anyone who is walking, the majority of accidents happen in urban areas and at night. Wisconsin: In 2014, there were 1,183 pedestrian accidents that resulted in 42 deaths and 1,119 injuries. Illinois: In 2013 (the most recent year for which data is available), 4,718 pedestrian car crashes were reported. These accidents resulted in 125 pedestrian deaths and 4,419 pedestrian injuries. Iowa: In 2013, 20 pedestrians died on Iowa roads and many more were injured. While these statistics are important, it is also important to remember the lives of everyone who was killed and to support all of those who were injured. Failure to yield to pedestrians. Drivers are legally obligated to stop for pedestrians at all corners and crosswalks. Obscured visibility. Weather conditions such as rain, snow, or fog, the darkness of night, and trees, buildings, or other obstacles that obscure intersections or crosswalks can make it difficult for motorists to see pedestrians and may make dangerous accidents more likely. Poor road design. Roads without sidewalks, stop signals, or designated crosswalks may make pedestrian accidents more likely. Failure to use turn signals. Drivers who do not indicate where they are going may be more likely to confuse walkers and cause pedestrian crashes. Driver behavior. Distracted drivers, drowsy drivers, drunk drivers, and other negligent drivers may all cause pedestrian crashes. Every driver and every walker has a responsibility to act safely and to try to avoid pedestrian accident injuries. Additionally, local governments and police departments can help by enforcing pedestrian right-of-way laws. And some pedestrians will die. After you or a loved one has been hit by a car in Wisconsin, your first step is to seek medical attention for any injuries you have suffered. Then, it’s a good idea to talk with an experienced Milwaukee car accident attorney as soon as possible to protect your rights and make sure you get the compensation you need to care for yourself and your family after an injury. Our experienced lawyers want you to get the fair recovery that you deserve if you’ve been hurt or if your loved one has been killed in a pedestrian crash. To reduce the number of pedestrian accident injuries and fatalities, Hupy and Abraham is leading the charge in promoting awareness of pedestrian right-of-way laws. To help drivers better understand that they should be yielding to pedestrians at all corners and crosswalks, the firm has distributed tens of thousands of “Yield To Pedestrians” bumper stickers. Additionally, Hupy and Abraham’s “Save a Life. Yield To Pedestrians” public service announcement (PSA) has aired about 1,000 times in Wisconsin, Illinois, and Iowa, and Attorney Michael Hupy has appeared on live television and written letters to local police chiefs to raise awareness. If you or a loved one has already been hurt in a pedestrian crash then you may need help now. Please call us directly at 1-800-800-5678 to learn more.